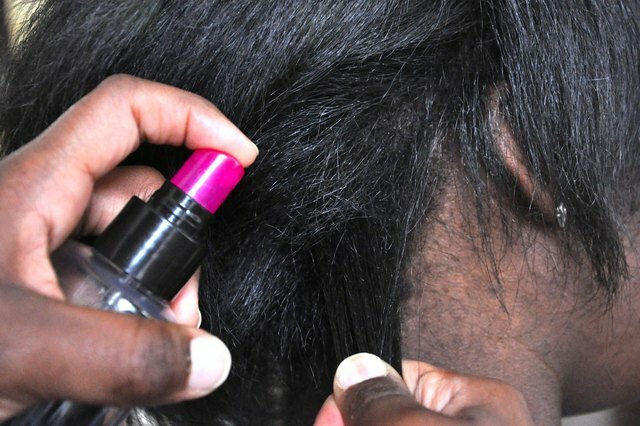 Whether you want to create volume, bounce, curls or straight hair, self-grip rollers, also known as Velcro rollers, can help you achieve this. The rollers come in small, medium, large and extra large sizes. The smaller rollers help create tighter curls and the larger rollers can be used to create smooth to straight hair styles. Because self-grip rollers don't require bobby pins or roller clips to secure them, you can create your desired hair style in a short time. 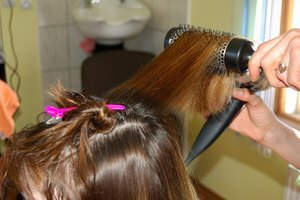 Wash your hair and dry it with a blow dryer until it's 80 percent dry and damp to the touch. You can also set self-grip rollers in dry hair. Comb your hair into the hair style that you want to create. 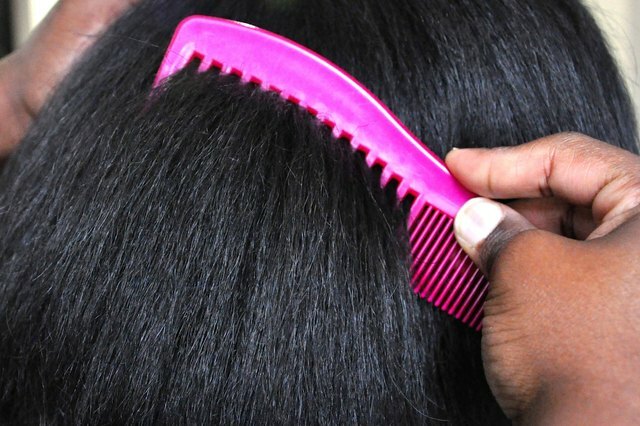 Comb through a section of hair that is equal to or smaller than the width of your roller. Apply hairspray to the section of hair. Place a roller underneath the sectioned-off hair. Brush the roller bristles through the hair from the roots to the ends. Hold the hair taut at a 45-degree angle. 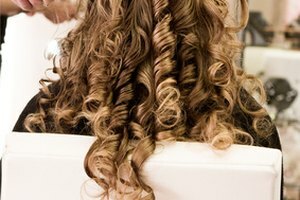 Wind the ends of your hair under and around the roller and roll it all the way up to your scalp. 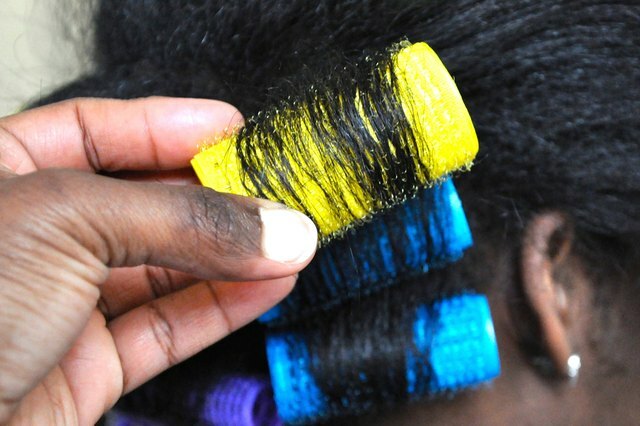 Set the roller in the direction that your hair flows from your head. For instance, if your hair falls to the left side of your head, have the roller face the left. Your hair should go over the roller, not underneath it. 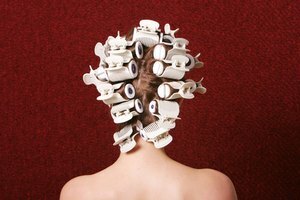 Repeat this step until all your hair is set in rollers. Blow dry your hair until it is completely dry. 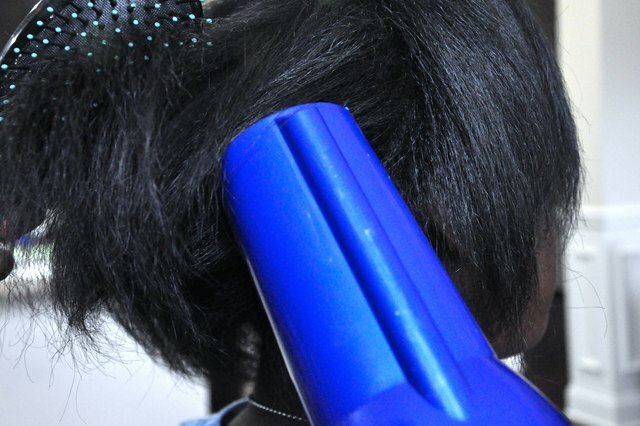 If you start with dry hair, blast the rollers with heat from the blow dryer for up to 5 minutes. Keep the rollers in for 15 minutes to allow them to cool. 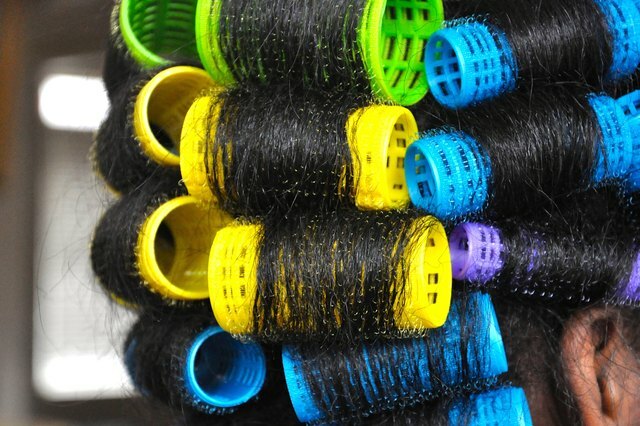 Remove the rollers from your hair by carefully unwinding them. 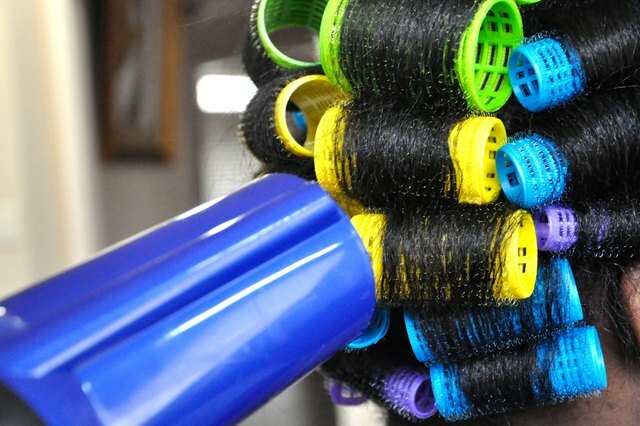 Avoid tugging at the rollers or sliding them out, as this may cause frizz, tangles and breakage. Finger-comb your hair to create your desired hair style. 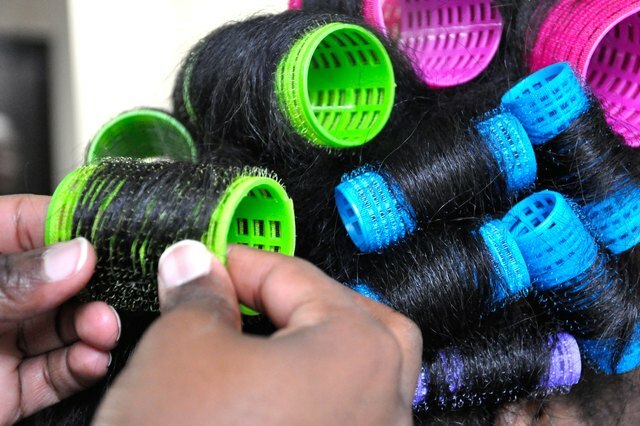 If your hair is long and thick, you may need to secure the rollers with clips.